A visionary leader with over 30 years of invaluable experience in the real estate sector. Mr Sushil Kumar Sayal has been Bharti Realty's Managing Director and CEO since 14th August,2014. He has been at the helm, providing leadership, as well as conceptualising and implementing a scalable business strategy. Mr Sayal has a robust experience of more than 30 years in the real estate industry. He was the Founding Director and CEO of Alpha G Corp (2004-2014). 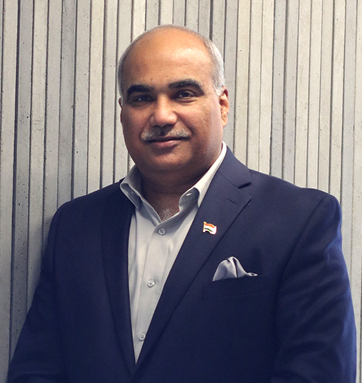 He has also served as the Head of Operations – Mahindra/GESCO (1993-2004). Prior to his managerial assignments, his realty skills were honed with major developers such as DLF and Ansals. As a Fellow of Royal Institution of Chartered Surveyors (FRICS) UK, he led teams of highly-accomplished professionals, with the objective of setting new benchmarks in residential and commercial development. One of Mr Sayal’s major contributions to the sector has been his role in establishing the Real Estate Asset Management (REAM) model in India. His invaluable contributions to the sector have been recognised in the form of national and international awards and accolades. He recently won the ‘Most Enterprising CEO’ and ‘Lifetime Achievement’ awards, in an initiative by White Page International. The entire process of short-listing and selection was reviewed by PwC. Mr Sayal is intent on exploring new business opportunities via joint development partnerships to propel the company’s realty business to higher orbits of growth. It has been his ardent desire to introduce professionalism in the sector. For this Mr Sayal has authored the book ‘Inside Unreal Estate’’: A journey through India’s most controversial sector’. The book shares his experiences in the unlevel playing field of the Indian real estate for over three decades.